as well as Government departments depend on Ausnviro to provide the most accurate environmental ratings for commercial buildings. 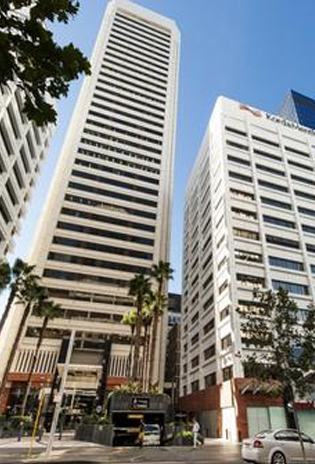 Ausnviro has completed NABERS ratings and BEEC certificates for many key buildings in Australia, including Rialto Towers – Australia’s largest office building, which is 80,000 square metres (sqm) in size. Clients commission Ausnviro from all over Australia, including Melbourne, Sydney, Brisbane, Canberra, Gold Coast, Newcastle and Albury. "Ausnviro was engaged to do a NABERS assessment of the Rialto Building. Ausnviro were diligent, well informed on the NABERS protocol, and sensitive to the needs of working within our tenancies. I found their willingness to challenge the protocol and ask questions to be refreshing and his attention to detail outstanding. Working with Ausnviro on the assessment was a learning experience. I would happily recommend Ausnviro to anyone looking to have a NABERS assessment done on their premises." "Ausnviro are thorough professionals, Ausnviro have provided sound advice and a good service. Happy to recommend them"
The size of the environmental ratings Ausnviro undertakes range in scale, from 40 sqm office tenancies to 100,000 sqm commercial buildings. 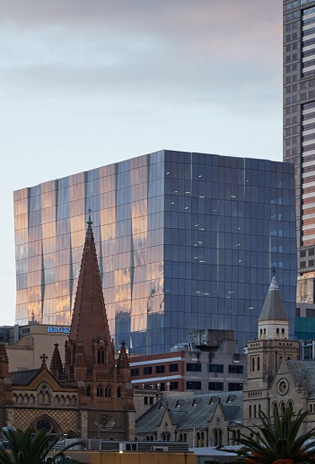 See a selection of the buildings Ausnviro has provided ratings for below. An Ausnviro consultant will contact you within the next 2 hours, to answer your questions and discuss your situation. Are the base building services separated from the tenant power & lighting ?